Save on Ring Cutters at Pulmonomics. Top brands include Nifty Medical Supplies. 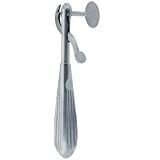 & Nifty Medical Supplies. Hurry! Limited time offers. Offers valid only while supplies last. 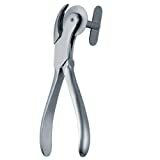 Walton Finger Ring Cutter, 16CM/6.25"
Finger Ring Cutter, Plier Handle, 17CM/6.75"